­Police estimate that between 50,000 and 70,000 people flooded onto the streets of Israeli cities and towns on Saturday, chanting “we demand social justice.” The nationwide demonstration, which started at 10pm local time (1900GMT), mobilized people from the northern city of Nahariya on the Lebanese border to the southern port of Eilat. For the first time, there were protests in a number of Arab towns, reports the Associated Press. The organizers decided to keep this weekend’s protests away from the two main metropolitan areas of Tel Aviv and Jerusalem to prove to the government that their demands deal with social issues that affect the whole of the country. 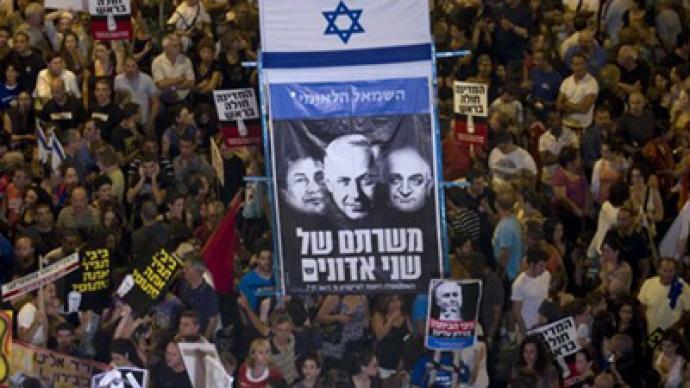 The northern city of Haifa claimed the largest demonstration with more than 20,000 people. But Beersheba, where the largest turn-out had been expected, could boast no more than 5,000 people, though protest leaders did not count the low turn-out as a failure. “The turnout is more or less what we figured. Even if there were only five people here, we would have been pleased. The point was that there was too much of a concentration of the movement in Tel Aviv and Jerusalem, and many of the problems facing the country are not only in those cities, but all over Israel, so we decided that we would shut our mouths [in Tel Aviv] and let the rest of the voices speak,” said Roee Neumann, the spokesman for the tent-city protest movement, as quoted by the Jerusalem Post. 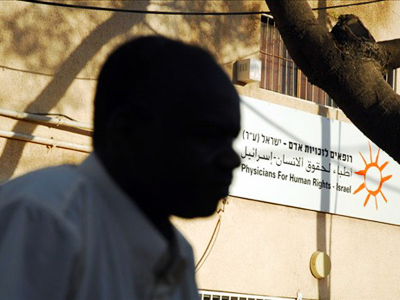 Protesters in Beersheba were carrying banners “the south is angry” and “towards a welfare state – now.” The demonstration was accompanied by a musical performance. The “social justice” movement in Israel started in mid-July with a tent-city in Tel-Aviv, where people complained about the all too high housing costs. After four consecutive weekends of protests, the public’s rage has extended to other economic issues, including the cost of food, petrol and education. The previous weekend Israel saw the largest ever protest in its history when more than 300,000 people turned out to demand urgent reforms, with Tel Aviv gathering a 250,000 strong demonstration. 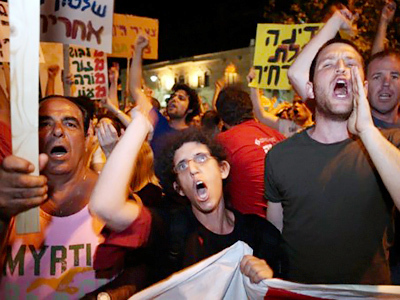 Prime Minister Benjamin Netanyahu had to call a committee to address the protesters’ demands. 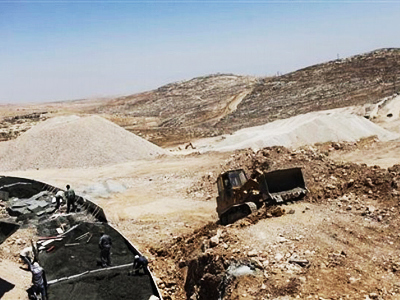 However, so far the proposals made by the government have not gained demonstrators’ approval. 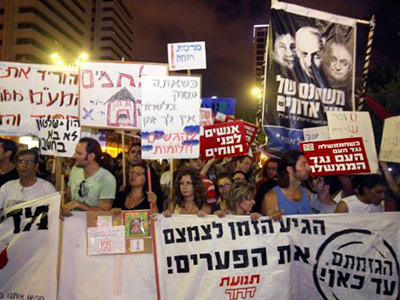 There are calls for a million-person march in 50 cities across Israel on September 3.